Composed by Ephrem Feeley. 21st Century. Score. 21 pages. Published by Cherrybrook Music (S0.22792). A set of six songs for baritone and piano using texts by Alfred Tennyson. 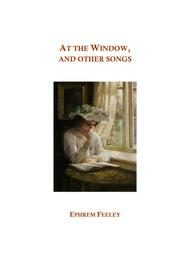 Ideal for recitalists or voice students, the settings range from the poignant And Kiss Again with Tears, to the mysterious and fiery The Kraken.i) The Splendour Fallsii) And Kiss Again with Tearsii) Home They Brought her Warrior Deadiv) The Krakenv) At the Windowvi) Crossing the Bar.